The most delicious sauerkraut and coleslaws are those that are made in your own home. The TSM Deluxe Cabbage Shredder will cut your preparation time in half. Shred up to a dozen heads of cabbage in only 10 minutes! 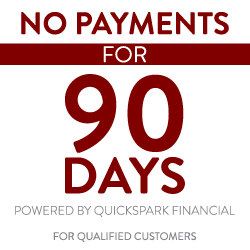 This design features three curved, fully adjustable cutting blades to shred to your desired thickness as well as a tossing cylinder to break up thick layers. 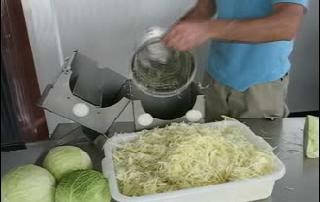 Cabbage Shredders are the fast and reliable way of cutting cabbage to a uniform thickness. • 304 Series, 18 gauge Stainless Steel construction - Food Grade, Won't Rust! • "Hands off" design keeps your fingers well away from cutting blades. • Ease of use means you shred cabbage like a pro! *Video is just for purpose of showing how Kraut cutter works. Actual Kraut cutters are slightly different. 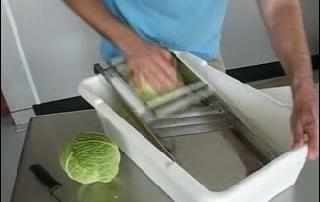 This tough cabbage cutter will save you lots of time and effort in the cabbage shredding process. Manufactured with a durable stainless steel body and a sturdy food-grade plastic carriage. 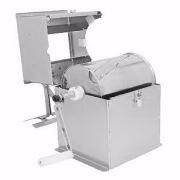 Fully adjustable blade will allow you to set the shredding action to your desired thickness. When the old-fashioned wooden cabbage cutter won't do, this more "industrial" version is sure to pull it's weight. Great for slaw or saurkraut but can also be used with other vegetables.